This is a great rustic Italian recipe. "Forno" means oven in Italian, so as the name would imply, this is a baked pasta dish made with ground beef and a special ragu handed down from a close family friend. 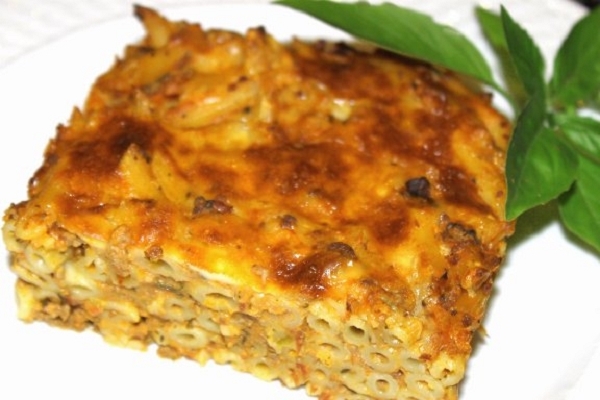 Kids absolutely love this macaroni! I was so glad I ordered the Macoroni Al Forno. Great taste, easy to prepare. I am sure it will be on my regular order list. hanks a lot! It doesn't get any easier than this. Preheat the oven, pop the pan in, and about 40 minutes later, dinner is ready. 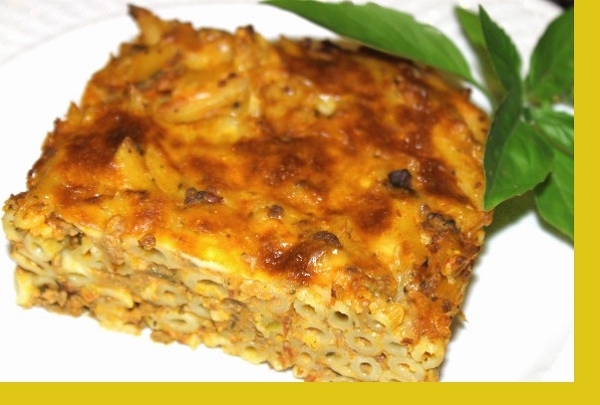 The flavor of the Macoroni Al Forno was great. I didn't have issues with the texture, because I let it sit out for a little while before serving. It made great leftovers. The only reason I'm giving this 4 stars instead of 5 is because this doesn't really say "gourmet" to me. It's essentially pasta, meat, and sauce. Most people could probably make something that tastes similar at home without investing too much time or effort. This is just a delicious meal for everybody. It is delicious when you eat it just out of the oven, or,at room temperature. It is one of our regular meals from Maria's Gourmet Kitchen! This is one of our favorites. Great flavor and texture. I personally found the consistency to perfect. Just what you would want in a delicious pasta dish. To stop it being Runny you should cook in the oven. take out and leave to cool. and then reheat. that way it sets and you get luscious chunks. Yum! I add Mushrooms and Parsley also to the meat for extra taste. This dish had good flavor, but it was a lot runnier than the picture indicated....that part was disappointing. However, the flavor was wonderful!